Norfolk and the Virginia Beach area have so much to experience for all types of travelers. What better way to travel around the Hampton Roads than with a group? 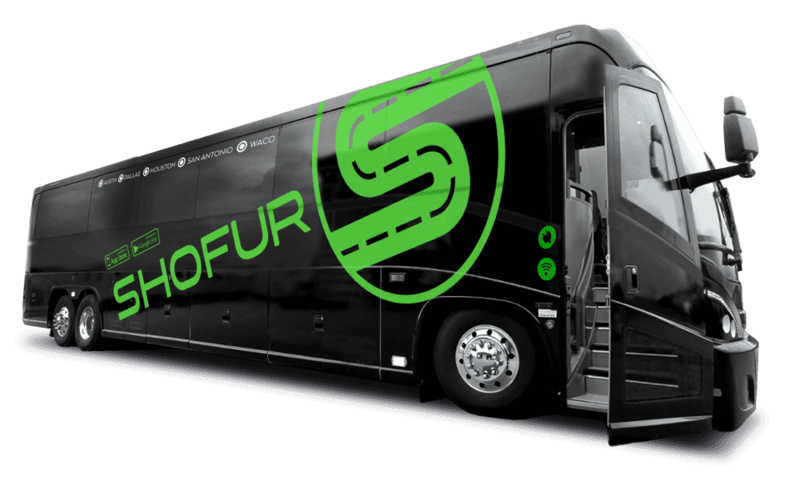 Shofur works with charter bus providers nationwide to offer high-quality travel solutions for business groups, wedding ceremonies, school trips, and more. We’ll pair your group with a comfortable motorcoach and professional driver for your Norfolk trip. Call us today at 1-800-436-8719 to speak with one of our rental experts about your planned travel around Hampton Roads. Norfolk and the surrounding areas are major hubs for military events, business meetings, and other large-scale events planned along the state’s beautiful coast. Shofur has organized transportation logistics for groups throughout the country for events and occasions of various sizes. Whether you’re a group of Norfolk locals needing a charter bus for wedding shuttle services, or you’re an out-of-town group traveling for a business event at the nearby Hampton Roads Convention Center, we’ll get your group around town without a hitch. The buses in our network include full-sized charter buses and minibuses for groups traveling across Norfolk. Large business groups and school groups can choose from full-sized charter buses that can fit up to 56 passengers. Groups needing smaller options for a wedding event or sports trip have various minibus options to shuttle everyone around town for a beautiful service or sporting event. The Norfolk area is a major military and commercial trading center due to the easily accessible waters. Businesses traveling to or from Norfolk for military-related events or business ventures can rely on Shofur for efficient and timely transportation. The buses in our network include spacious and comfortable models with amenities like on-board WiFI, power outlets, and televisions with DVD players to keep everyone productive on the road. If you’re traveling for a business conference at the Virginia Beach Convention Center, a charter bus will keep all attendees together during their important travels. The Norfolk area is home to top quality public institutions like Norfolk State University and Old Dominion University. High-school seniors and educators can easily travel around to different campuses for tours with a full-sized motorcoach. Skip the old, muggy school bus and choose a modern coach with climate-controlled interiors and plush, reclining seats. Students will stay comfortable and entertained with these modern amenities. Younger students can also safely and comfortably travel for field trips to the Virginia Zoo or specialty museums like the Nauticus. Each charter bus includes a professional driver to safely shuttle students around for a fun, educational day. Drivers in our network are required to have excellent driving records and to sufficiently pass background checks before hitting the road. Parents, chaperones, and educators can feel at ease knowing their students are in safe hands while traveling around Norfolk. The Hampton Roads area is a popular destination for large family vacations and private group trips. With a private charter bus, your group vacation will run even smoother without the worry of organizing transportation. Your group can travel throughout Norfolk, Virginia Beach, Chesapeake, Richmond, and beyond in an efficient motorcoach. Rather than spending your time worrying about how your group will get around town, let Shofur handle the travel logistics. Your driver and our rental experts will keep your transportation on track while your family enjoys the beaches, historic military museums, and local waterfront shops. Don’t hesitate to call Shofur today! We have rental experts available 24/7 to help you organize charter bus transportation. From business day trips to cross-country vacations, we service trips of all distances and types. If you’re not sure what type of bus would be best for your travel needs, our rental experts will help pair you with the perfect transportation. Give us a call anytime at 1-800-436-8719!